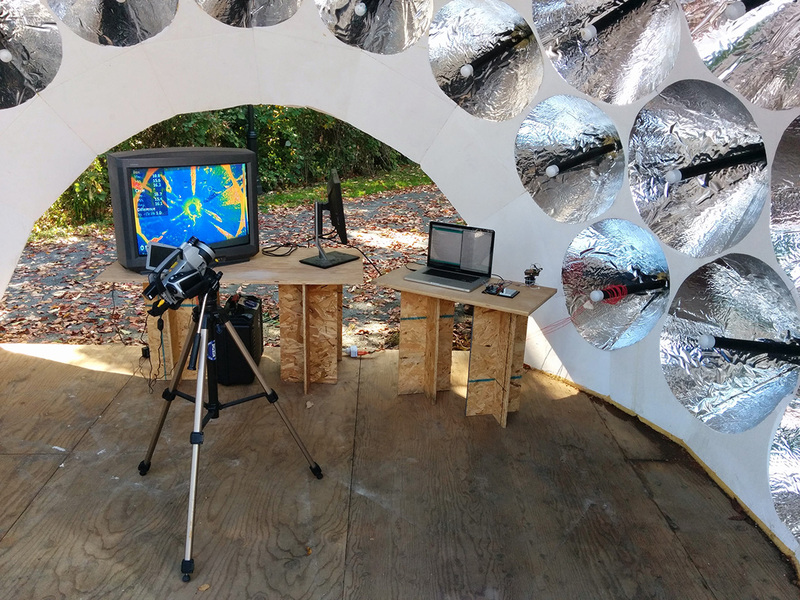 The CHAOS lab at Princeton University was initiated by the research team of Forrest Meggers, an assistant professor jointly appointed in the School of Architecture and the Andlinger Center for Energy and the Environment and affiliated faculty in the Department of Civil and Environmental Engineering. The acronym CHAOS stands for Cooling and Heating for Architecturally Optimized Systems. It also refers to the lab’s interest in the flow not only of energy in heating and cooling, but also the associated entropy (chaos) generation and how the quantification through exergy analysis can help optimize building systems. The entropy generation of heat transfer is increased by having large temperature gradients driving the heat exchange (remember, heat transfer only occurs from high temperature to a low temperature). This causes losses in potential of the energy, even if the raw quantity of energy is saved (i.e., a furnace that puts 95% of its heat quantity into the building is still generating a lot of entropy, causing loss of a lot of potential exergy by taking the high quality of a 1000-degree flame and using it create a low-quality 70 degree room). Moving heat into and out of buildings has historically been done in brute-force ways that ignored the losses caused by the high temperature differences. By leveraging the architectural design of surfaces and mass in building, we can uncover opportunities for system integration that provide additional flexibility in the spaces and volumes created in the architecture, while also minimizing the chaos generated by the systems heat transfer processes. Meggers’ lecture is sponsored by the Department of Architecture and Shive-Hattery Architecture + Engineering.